Air cargo is complex, flight engineers and ground staff spend hours every day planning the many variables that go into shipping material from locale to another. The process is labor intensive and tedious, and one mistake could cause significant problems for the airline and the traveling public. 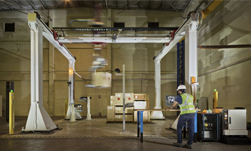 To take the heavy lifting out of the process, a Singapore-based research institution has developed the world’s first prototype of an AI-powered robotic system for air cargo. Using NVIDIA GeForce GTX 1080 Ti GPUs, and a cuDNN-accelerated framework, the research group developed their own software called CARGO MIND, the software generates an optimal packing configuration for cargo, maximizing yield while adhering to aviation safety regulations. It can also perform reverse planning if the pallet must be partially dismantled. Also, it is responsible for the structural build-up of the pallet and for planning the motion trajectories of the robot, which must be collision-free. The robot and 3D cameras are equipped with several NVIDIA Jetson TX2 GPUs. 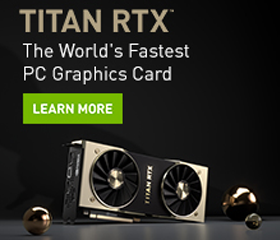 The software in the computer also uses an NVIDIA GeForce GTX 1080 Ti GPU for faster processing. An overview of the SPEEDCARGO system. First, the system scans the cargo with a 3D camera to detect the properties and size of the load. The software then analyzes the images and determines how they should be placed. Finally, the robotic arm executes the plan. 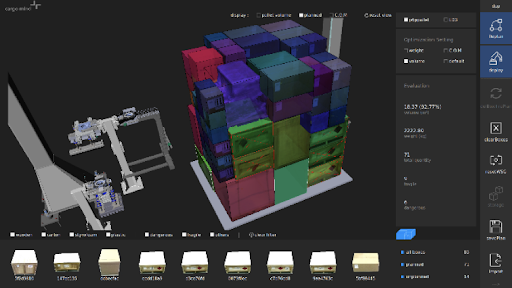 CARGO MIND solves an NP-Hard problem of packing cargo boxes while satisfying multiple constraints such as airline regulations, pallet yield, stability, robot constraints, gripper constraints. A certain computational load of this multi-constraint optimization problem is supported through mapping work to the GPU via CUDA. Even though the system is still in prototype format, the group hopes to build its first live system in December 2019 at the Singapore Changi Airfreight Terminal.